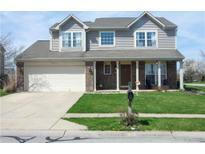 Find McCordsville, IN Homes for sale. View Photos, Maps and MLS Data Now! Geist Woods Estates - Newly Finished Basement w/ 4th Bedroom, full bathroom, wet bar & storage galore. Kinetico Water Softener. MLS#21635970. Keller Williams Indpls Metro N.
Garage bump out allows for plenty of extra storage space. MLS#21636321. F.C. Tucker Company. Stansbury - Recent updates include freshly painted walls and ceilings throughout, new dishwasher and new garbage disposal. MLS#21635645. Lady and Associates. Bay Creek At Geist - 4 years ago * Please exclude: All TV's and mounts, alarm system & all curtains (all blinds & curtain rods to stay) MLS#21633026. F.C. Tucker Company. Wood Haven - Loft, staircase, and hallway freshly painted. MLS#21635278. RE/MAX Realty Group. 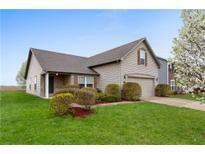 Austin Trace - Great location within the neighborhood. GREAT VALUE for square foot. MLS#21633550. Top Notch Real Estate Group. 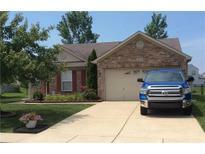 Geist Woods Estates - You'Lower Level love this home, truly special! MLS#21632551. Berkshire Hathaway Home. Wood Haven - Same model is going for $250-260K, we're told! MLS#21632510. M.S. Woods Real Estate, LLC. Bay Creek At Geist - This is the home you have been waiting to call your own! MLS#21630077. F.C. Tucker Company. Villages At Brookside - NBRHD amenities incld miles of nature trails, pool w/poolside gazebo, playground, walking distance to Hancock Wellness center & future McCordsville Town center. MLS#21631499. CENTURY 21 Scheetz. Walking trails, pool, park & playground a short walk away! MLS#21631649. Leo Signature Realty. Timberstone Villas - Custom plantation shutters throughout! Move in & enjoy! MLS#21631448. Matlock Realty Group. Great opportunity in Mt. Vernon Schools! ! MLS#21631515. Plat Collective. Fully fenced rear yard! Hurry, it won't last! MLS#21627454. Highgarden Real Estate.